The DKN XC-140 elliptical cross trainer utilizes high quality components to ensure safe and comfortable workouts. 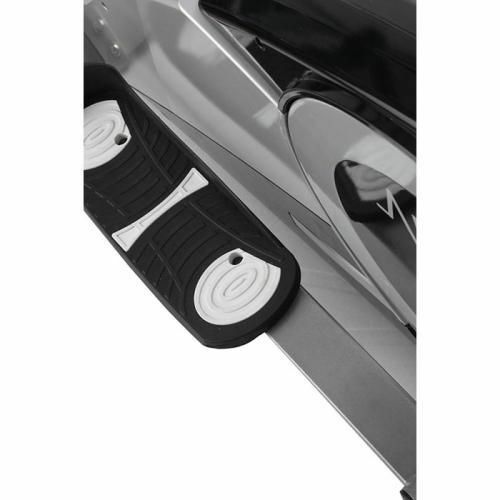 It has a horizontally adjustable foot plates and uses high endurance sealed bearings with teflon housing. The inner-distance between both pedals is narrowed to match a natural training position for multiple users and provide a centred, well balanced straight upward position to ease stress on knees, hips and lower back. 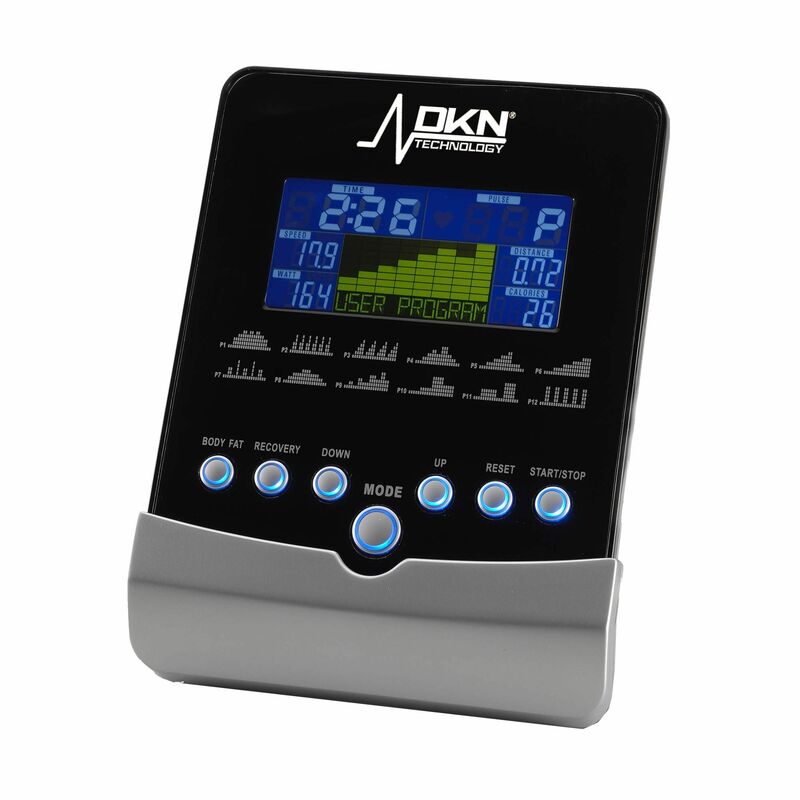 Heart rate measurement with the DKN XC-140 is easily achieved using the integrated pulse sensors in the handlebars or for the ultimate in accuracy, a chest belt (optional) can be used with the built-in receiver. Feedback: speed / rpm, distance covered, time elapsed, theoretical calorie burn, watts / energy output, heart rate. Received and built up. 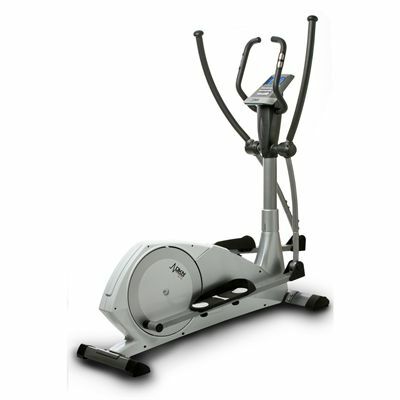 Good range of programmes and very easy to use cross trainer. Using it more then I thought. Very happy with the machine. Easy to set up and happy with the build quality. Absolutely brilliant machine. 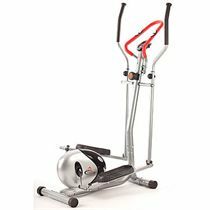 Having a great time with the cross trainer and even the kids are enjoying it. 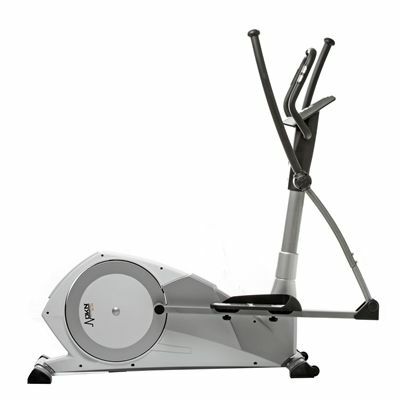 for submitting product review about DKN XC-140 Elliptical Cross Trainer.